A friend bought a new laptop, Lenovo B460, luggage FreeDOS OS. When install Windows XP, do not want to load from DVD . Checked the BIOS, the first boot is CD-ROM. After a trial and error, just want to boot from the DVD after the first boot order be set to ODD. Maybe this means ODD Optical Disc Drive. After booting and start loading the Windows Setup blue screen appears, oh .... Error ask CHKDSK / F, this hypothesis Hard Disk problem. 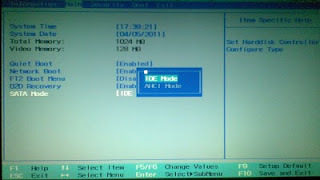 Checked again in the BIOS, set the default HDD SATA AHCI, try changing to a compatible. Apparently works:), can install Windows XP. New releases laptops generally have a large capacity Hard Disk, 200GB above average with the Intel SATA AHCI controller. 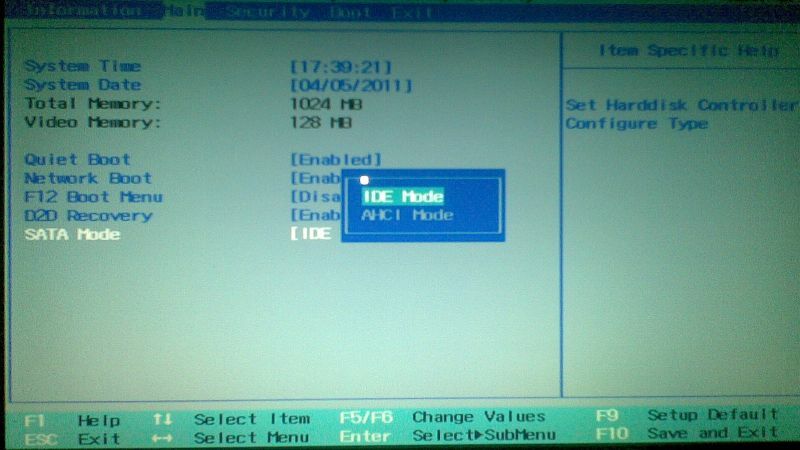 Before installing Windows XP, first setting to IDE Mode or Compatible Mode (every BIOS has a different term, but means the same). In addition to the above method, can also with Windows XP compilation using the software nlite. The driver can be taken here.